Located in Morley, West Australia, Imagemation creates and develops various software programs. These include project management solutions, customized software development and mobile computing applications. Imagemation is the developer of ClickHome construction management software, which is specifically designed for the needs of home builders and construction companies. Privately held, Imagemation was established in 1995. The company released ClickHome, its best known and most widely used product, in 2001. Imagemation also offers customized development services to companies in the construction industry, from “shrink wrap” solutions to systems from scratch. Recognized as a residential construction industry standard, ClickHome construction management software offers customer relationship management (CRM), workflow management, project management, and quality control tools to companies in the home-building and construction industries. 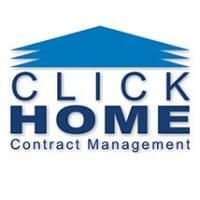 ClickHome is a fully integrated contract and project management system, designed to handle projects from start to finish, from marketing and leads to construction and maintenance. ClickHome contract management tools include a mobile application, an online tool and an application service provider for electronic construction collaboration and project management. ClickHome can be used anytime, anywhere. ClickHome integrates with many common construction and accounting business platforms, including Databuild, Business Craft, Beams, Sage, Constructor and Microsoft products. The ClickHome construction management tool is able to provide clients with online access to jobs, progress, construction status, and updates. ClickHome also includes planning tools to optimize scheduling and resource allocation across multiple projects and suppliers. ClickHome’s sales estimator offers custom options, provisional pricing and estimated sums, enabling companies to have full control throughout the quote process. Not looking for construction management software? Review more of the top Project Management solutions with our SmartAdvisor. Learn everything you need to know about ClickHome. Our experts will reach out to you shortly.